The stock market swung in a wider than we’re used to range again today. The Dow (DIA) opened the day up a bit, then added on, before breaking down late. 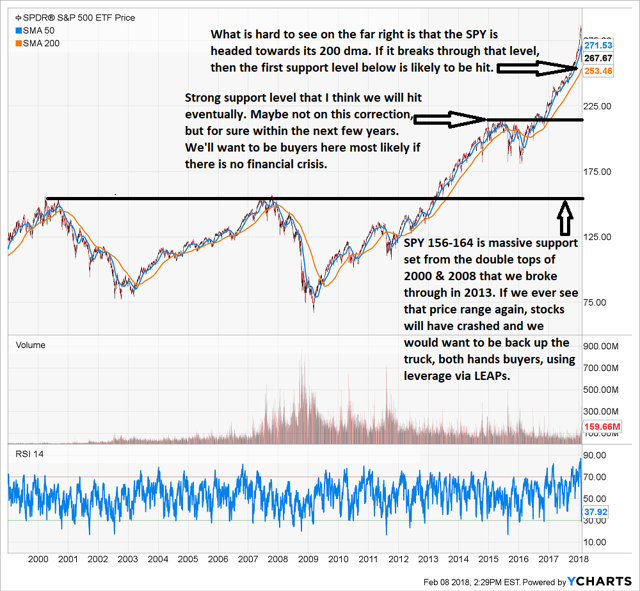 The S&P 500 (SPY) (VOO) followed suit. The NASDAQ (QQQ) was down all day on weakness from top holdings Facebook (FB) -5.05%, Microsoft (MSFT) -4.4%, Google (GOOG) -4.24%, NVIDIA (NVDA) -8.18% and Netflix (NFLX) -6.31%. The markets are clearly digesting a lot of news from tariffs and trade negotiations, to geopolitical risks, to historic market over valuations, to a tightening Fed and more. As I have said before, I do not believe we are at risk of an imminent financial crisis, but at some point the stock market has to justify valuations in the face of a tightening Fed and the “slow growth forever” reality of the global economy. Here’s a playbook for the enterprising investor on how to deal with the rise in volatility. 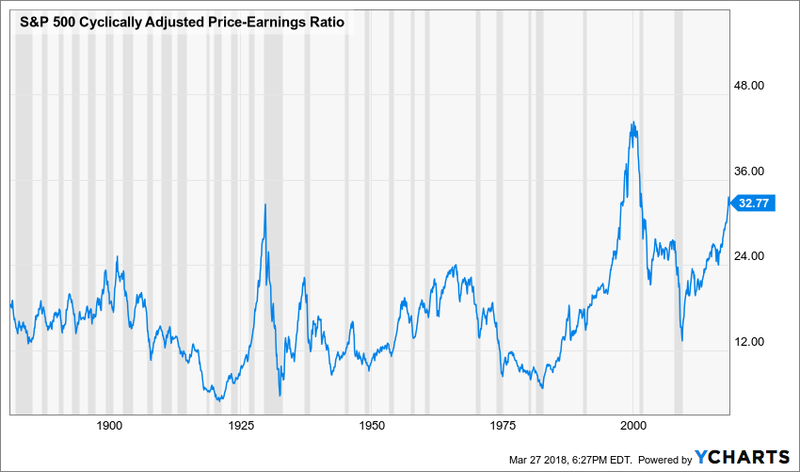 I originally posted the following chart in: How Low Can The Stock Market Go? I think it is fairly easy to digest. There was a significant period of consolidation around 2200 on the S&P 500 in 2015. That appears to be the first level of very large support for stocks should a bear market develop. The next level down would imply a more serious economic situation, likely a significant recession or possibly war. 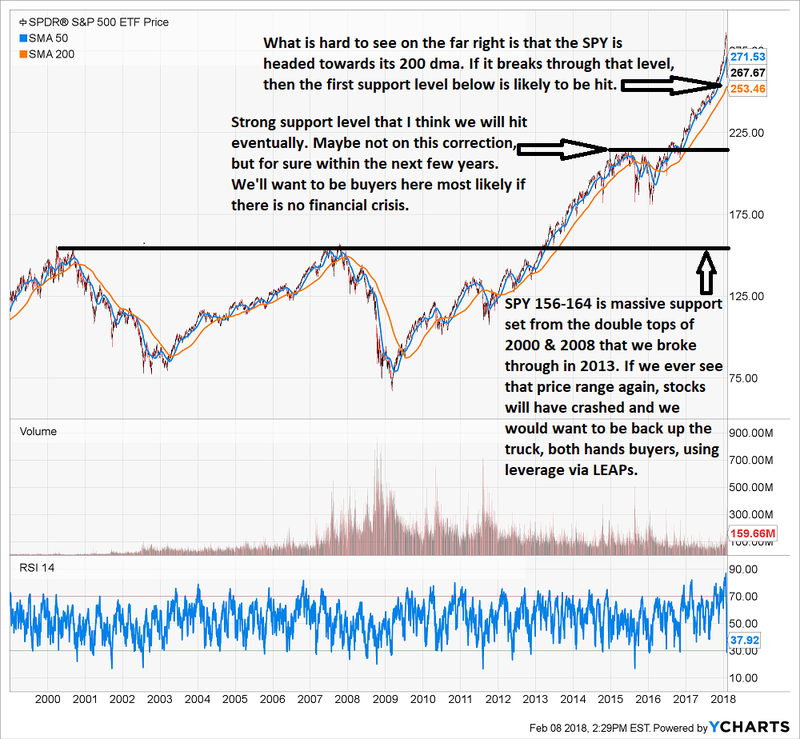 I believe the area around 1600 on the S&P 500 is likely eventually, as we can’t avoid a serious recession forever. 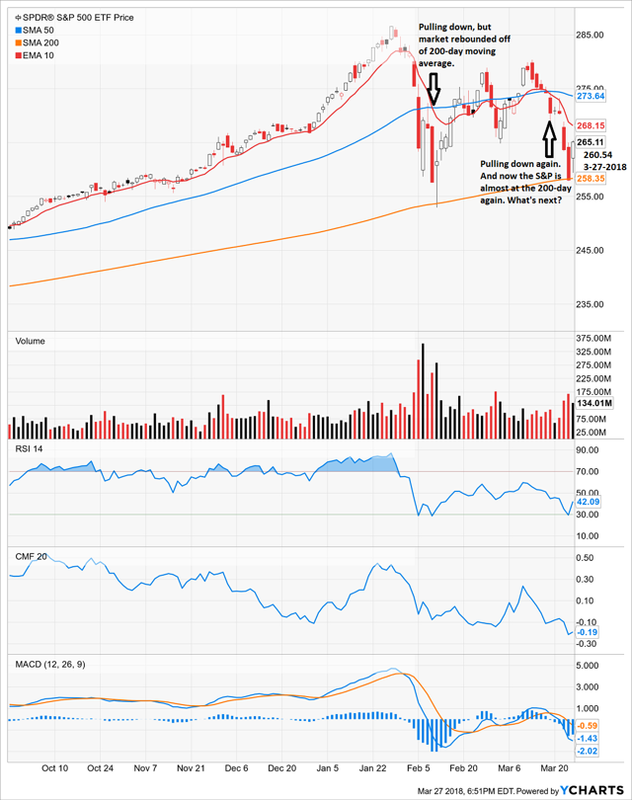 At this moment we can look to the moving averages to answer short-term risk questions. As of Tuesday, the S&P is once again bumping down to its 200-day moving average. If it breaks below and stays below through the end of the week, that will be a harbinger of a more serious correction, possible the 2200 area on the S&P. We need to also keep an eye on the 10-day exponential moving average (in this day of algorithmic trading, I use the shorter 10-day vs more traditional 20-day exponential moving average). If the 10-day exponential breaks away from the 50-day simple, it often acts like a magnet, pulling up or down. If it crosses the 200-day to the downside, that marks a significant direction change. It generally needs to break the 50-day back to the upside to signal a new uptrend. First, don’t speculate. We know that the stock market is overvalued across many sectors and on whole – we’ve covered that several times. Eventually we will see a correction. 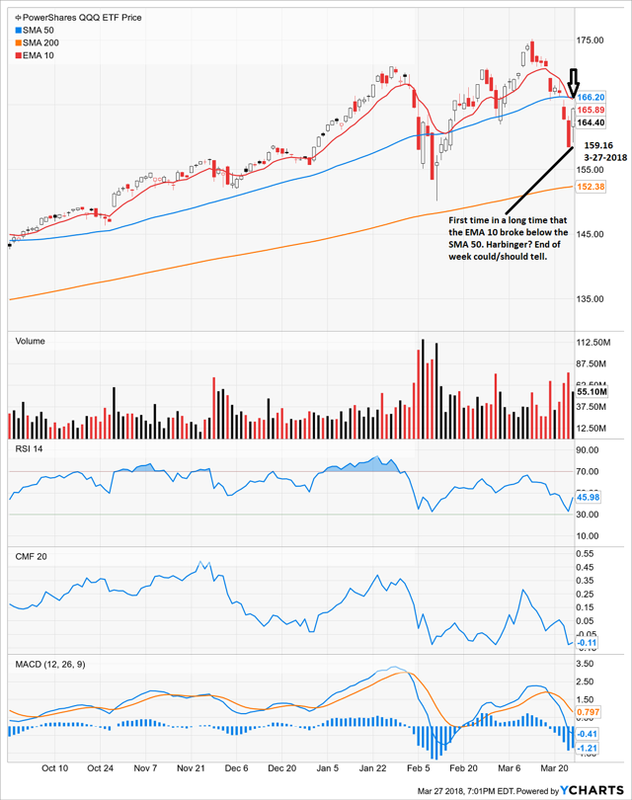 We could be looking at a more significant correction, but we might be just seeing consolidation that is hoping for fundamentals to improve more and catch up to valuations. If the 200-day moving averages don’t hold on the week, then we need to be aggressive sellers – quickly. 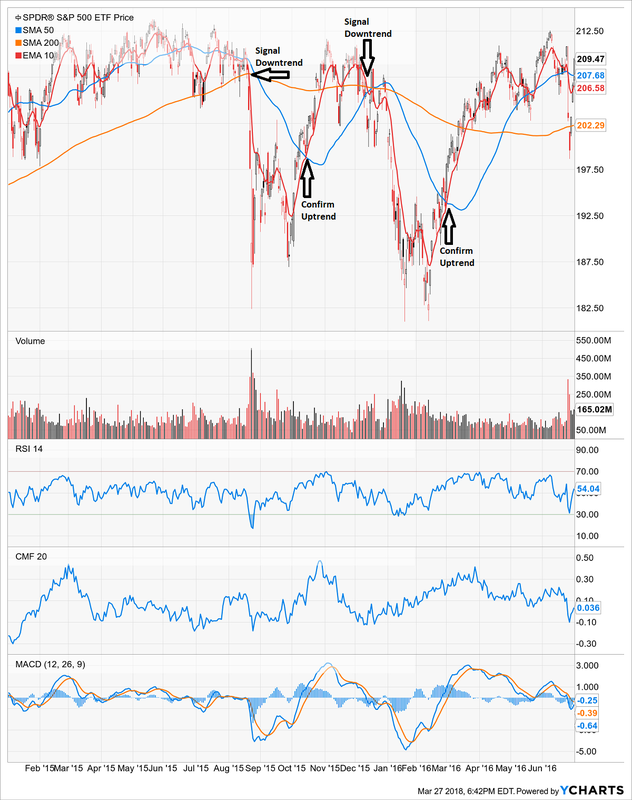 If the 200-day moving averages do hold on the weekly, then we will want to aggressively use our cash to sell puts to the 200-day moving average on our favorite stocks. You have that list.